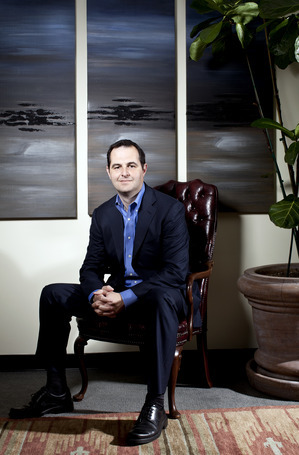 This month, we interviewed the CEO of Lending Club, Renaud Laplanche, to get a deeper understanding of the peer-to-peer lending platform and the leadership behind it. Lending Club is a three-time demoing company at Finovate, taking the stage at the first Finovate in 2007, Finovate 2008, and FinovateStartup 2009. Finovate: What’s the biggest hurdle you’ve overcome at Lending Club? Laplanche: Lending Club has achieved enormous success–we are now the dominant market leader with 75% market share, issuing over $40 million in loans each month–but the road to success has not been without challenges. One of the biggest hurdles was simply convincing people that lending money to strangers over the Internet could be a safe and profitable way to invest. The challenge was compounded in October 2008 when the near-unprecedented credit crisis hit the country in full force: Would borrowers suffering from job losses and shrinking home values be able to repay the loans? Would investors experiencing staggering stock market declines be willing to invest in an unproven asset? We tightened our credit policy to focus on borrowers with good to excellent credit, and to generate momentum, I invested a significant amount of my own money to fund the first loans on the platform. These steps worked, and — as we continued to deliver steady returns to investors — Lending Club began attracting capital in record numbers. Finovate: How have you dealt with Lending Club’s growth? Laplanche: We’ve had to move quickly to keep up with the pace, while balancing the borrowing and investing sides of the business. One of the ways we’ve managed growth is by making sure we have the best people in place to drive the company’s continued evolution. For us, that has included recruiting a top-notch executive team with backgrounds in some of the world’s finest financial institutions, as well as creating new roles for valued employees that enable them to thrive, grow and continue contributing to the company’s success. We more than doubled year-over-year revenue for calendar year 2011, and added over 25 employees in 2011 bringing the company total to 78. Finovate: How would you compare and contrast Lending Club to Prosper? Laplanche: As the largest player in the space (75% share of the market), we have a wider breadth of products, and offer investors more liquidity and greater access to inventory. We also focus only on the top 10-20% of borrowers in terms of credit quality, which has allowed us to deliver predictability in the form of 19 consecutive quarters of positive returns. Our size has allowed us to develop products geared toward larger investors, including funds for accredited investors and separately managed accounts via LC Advisors, our wholly owned subsidiary. We have more of the tools, structures and controls that sophisticated investors expect. Finovate: Can you share Lending Club’s most recent user numbers? Laplanche: We have have issued more than $600,000,000 in loans to over 50,000 borrowers. They choose Lending Club because we offer a convenient online process and our rates are 20-30% below traditional alternatives. The loans have been funded by nearly 80,000 registered investors, ranging from young individuals with a few thousand dollars, to high net worth individuals, family offices, hedge funds and insurance companies with several million dollars on the platform. Finovate: What’s the most surprising thing you’ve encountered since launching Lending Club? Laplanche: That we have managed to successfully grow our platform during the worst recession since the great depression. At a time when banks stopped lending, mortgages were defaulting at record rates and investors were getting hammered by the market, we managed to continue to issue millions in loans and deliver great results to investors. We have come out of that period incredibly strong; with a stress tested credit model that is now attracting significant investor capital. Finovate: How do you personally use Lending Club? Laplanche: I’ve been an investor on the platform since Lending Club’s inception, funding a significant number of the initial loans with my own money to help kick-start the business. Finovate: How do you ease investor concerns of faulty borrowers? Laplanche: The annualized default rate for our Prime Consumer Notes is around 3% — comparable to most banks which make loans to highly credit worthy individuals. We keep our default rate to a minimum by issuing loans to the most credit worthy individuals – approving less than 10% of all applications — and setting up automatic withdrawals from their bank accounts. When a payment issue occurs, our in-house team reaches out to work with consumers to get back on track. If our efforts fail we turn the loan over to a collections agency. Finovate: Where do you see Lending Club evolving? Laplanche: The market we address is truly staggering at a total $2.4 trillion in consumer credit… so there is no shortage of opportunities for new products and services which would benefit from our efficient model. Short term, we expect to pass $1 billion in loans originated this year, and will add employees to bring our total headcount more than 100. Finovate: You’ve won the French sailing championship twice. Are you still able to make time for sailing? Laplanche: The business keeps me busy, but we do host an annual Lending Club Regatta where we charter several sailboats and stage a race amongst employees. I am also a member of the St Francis Yacht Club in San Francisco and occasionally steal a day out on the bay with my family. To learn more about Lending Club, watch its FinovateStartup 2009 demo. Stay tuned for another CEO interview next month.